Impressing existing or potential clients is what allows your business to grow. Client evenings are a unique opportunity to demonstrate what your company is about, and the lengths it can and will go to in order to give clients the best experience possible. Putting on a show at a client evening while keeping the atmosphere relaxed and the conversation moving in the direction you want is no easy feat. Hiring expert bartenders to provide perfect cocktails and flair bartending for client evenings can be an ideal solution. Great bartenders aren’t just exceptional at making drinks. They revel in creating an atmosphere and experience. For your client evening an expert bartender and mobile bar makes sure your clients always have a drink in hand, while providing a spectacle and talking point for everyone to discuss and bond over. Encouraging loyalty among your customers, as well as potentially winning over someone you’ve yet to convince, is made easy when you give them an evening and experience to remember. 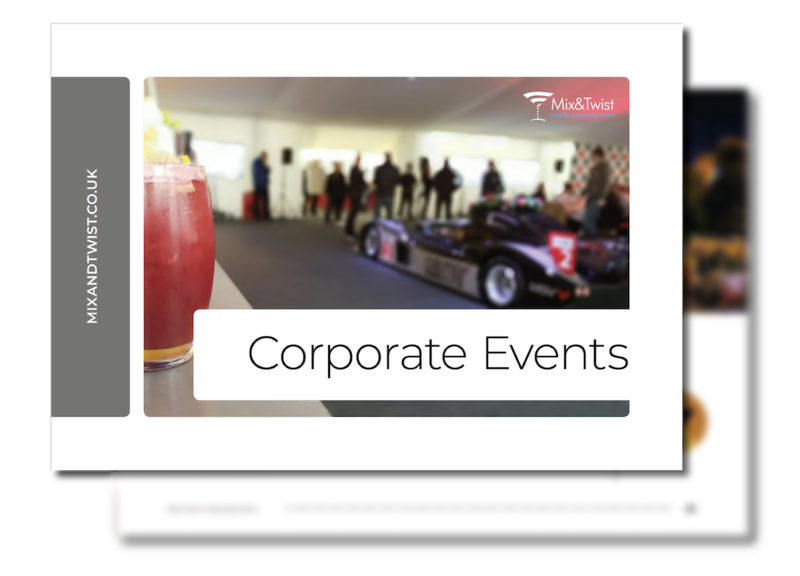 Mix & Twist are able to provide services at or in conjunction with venues, or can set up in your offices in any space you choose. 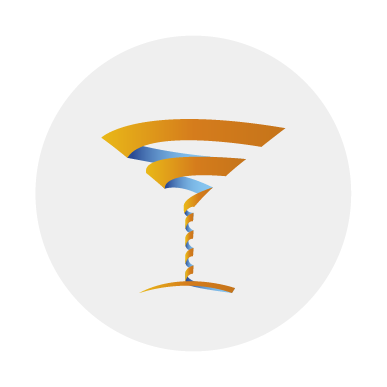 We use the most advanced team management software and systems in the mobile bar hire business to make sure everything is planned to the last detail, so you’re never left wondering about the centrepiece and refreshments of your next client evening or event. 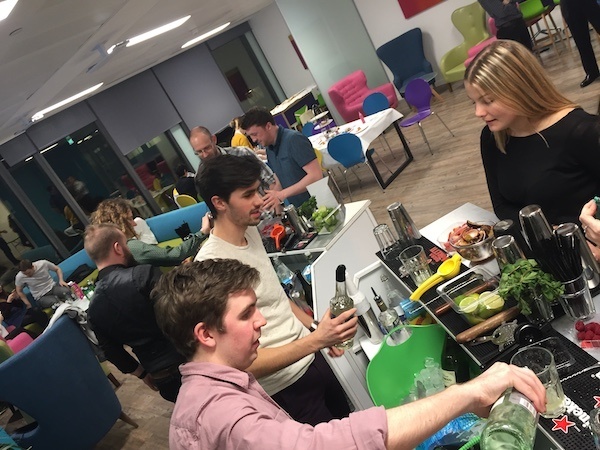 Mix & Twist have provided mobile bar hire and bartending services for hundreds of special occasions, including for FTSE 100 companies looking to use flair bartending to make their events stand out. We pride ourselves on unparalleled communication, competence and expertise. 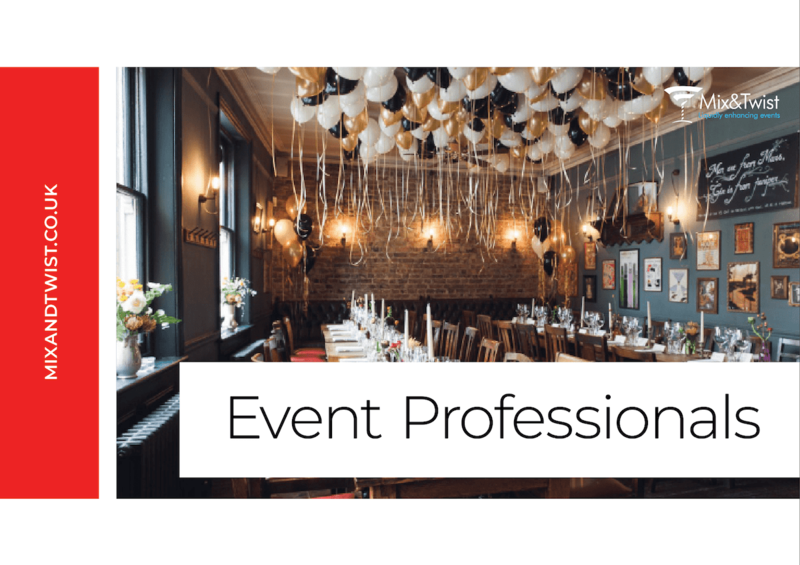 Our job is to take the stress out of event organisation, leaving you to enjoy your client evening and be free to make sure it’s a success, for your client’s enjoyment and for the growth of your business.